2-2-2-2 Palomino quadruplex service drop cable has current rating of 135-Amps and voltage rating of 600-Volts. 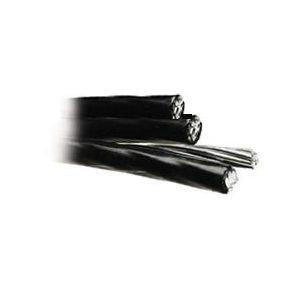 This aluminum cable has cross-linked polyethylene insulation. It withstands temperature rating of 90 deg C. This 1000-ft cable comes in master reel.